Homexperts’ real estate blog will help you find the answers to most of the questions you might ask yourself when selling your house, flat or plot of land. one-off allowance of € 75,000, as long as the transferred building was acquired by direct inheritance and used as principal residence by the transferor's parents, in accordance with Article 130 (5) LIR. The decennial allowance of 50.000 EUR per taxpaying partner is, as its name suggests, based on 10 years, ie every 10 years the counters are reset to 0 and you can again fully benefit from this allowance. Imagine that you are married and in 2010 you sold a building with a capital gain of 70,000 EUR. 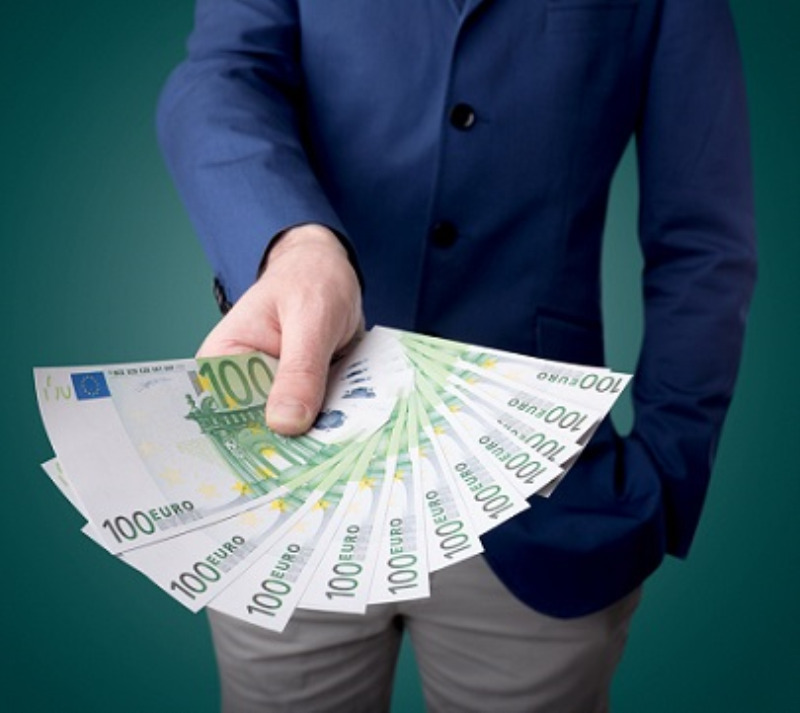 Since the allowance is 50.000 EUR per partner imposed collectively, you can benefit from a reduction of 70.000 EUR and thus reduce the gain to 0. You will not be taxed at all. In addition, you still have 30.000 EUR of allowance which you can use on another real estate capital gain until 2020 (2010 + 10 years). So if you sell another building in 2018 on which you realize a capital gain of 50.000 EUR, you will be able to deduct the remaining 30.000 EUR and you will be taxed on only 20.000 EUR. Then, from 2020 (ie 2010 when you used the first allowance + 10 years), the counters are reset to 0 and you will again be able to benefit again from an allowance of 50.000 EUR per partner imposed collectively. So, if you sell another building in 2022, you can deduct EUR 50,000 per taxpayer from the realized capital gain. This decennial allowance is not limited to inheritances but each taxpayer can benefit from it. The one-off allowance of EUR 75,000 is only valid on the sale of a property acquired by way of inheritance in direct line and used as principal residence by the parents of the transferor! This allowance is not doubled by taxpaying partner and can only be used once. If, for example, you inherit a flat in 2015 from your father on which you realize a capital gain of 40.000 EUR and you use the allowance, the remaining 35.000 EUR are lost. If you then inherit in 2018 a house from your mother, on which you realize a capital gain of 80.000 EUR, you will not be able to benefit any more of this abatement, or even of the 35.000 EUR which you have not yet used. The single allowance of 75,000 is however valid per heir, ie if you are 2 heirs, each of the 2 can benefit from this allowance of 75,000 EUR. Let's take a concrete example to illustrate all this. You are 2 heirs in a direct line of a house inhabited by your parents. You decide to sell the house and the capital gain is 300.000 EUR. Heir A is married and has not yet used the single allowance, but has already used a decennial allowance 2 years ago, up to 40.000 EUR. Heir B is not married and has neither used the single allowance, nor a decennial allowance in the last 10 years. The capital gain on the sale of the building is EUR 150,000 per heir (ie capital gain of EUR 300,000 divided by 2 heirs). Heir A can deduct the single deduction of 75,000 EUR and a decennial allowance of 60,000 EUR (decennial allowance of 50,000 EUR per spouse - 40,000 EUR already used). Hair A will therefore be taxed on a capital gain of 150,000 EUR - 75,000 - 60,000 = 15,000 EUR. Heir B can deduct the single deduction of 75.000 EUR and a decennial allowance of 50.000 EUR. Heir B will therefore be taxed on a capital gain of 150,000 EUR - 75,000 - 50,000 = 25,000 EUR. The government has put in place tax-efficient measures to boost the housing market by encouraging homeowners to sell real estate that they do not personally occupy. These measures end on 31.12.2018. If you are thinking about selling a house, apartment or land that you do not personally occupy, this can save you a lot of money ... if you act quickly. Which real estate are targeted? Any type of property (house, flat, land) that you have held for more than 2 years and that you do not occupy yourself. Indeed, if the property is your main residence, you do not pay any taxes on the capital gain anyway. On the other hand, if you sell property that is not your principal residence and that you have held for less than 2 years, the gain is considered as profit of speculation and will be taxed at the global rate, even if you sell before 31.12.2018. What is the advantage of selling before 31.12.2018? If you are the proud owner, for more than 2 years, of a building that you do not occupy yourself, you have big to win to sell it this year! Normally the capital gain realized on the sale is imposed at half of the overall rate, i.e. maximum 21,8%. But if you sell your building before 31.12.2018, you will only be taxed at a quarter of the overall rate. In other words, you save 50% of taxes if you sell in 2018! In concrete terms, how is this going? 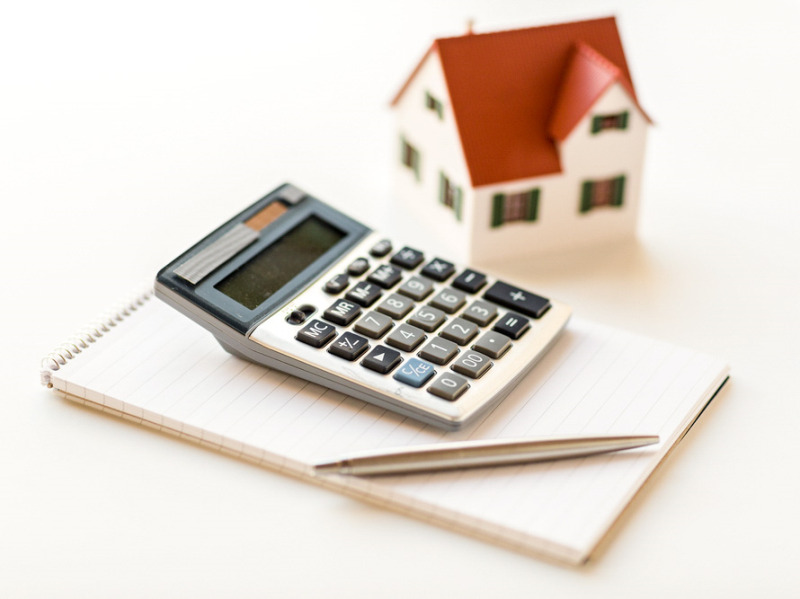 First, it is a question of calculating the capital gain realised on the sale of your building. The taxable capital gain is equal to the selling price - the revalued acquisition price - the acquisition costs - the possible deduction to which you are entitled (eg 50.000 EUR per spouse every 10 years). This capital gain is then added to your annual income, which in turn increases your income and thus your global tax rate, since this exceptional income drives you up into higher brackets of progressive taxation. Until 31.12.2018, the capital gain is only taxed on a quarter of the overall rate instead of half. So you pay half the taxes if you sell in 2018. Let's take a concrete example: if your global tax rate after adding the capital gain on the real estate is 30%, the capital gain on the property sold will be taxed at 1/4 of 30% (ie 7,5%) instead of being taxed at half the global rate (ie 15%). The most important is time, since this measure applies to all sales for which the notarial deed is made before 31.12.2018. Depending on your property, consider at least 1 to 3 months to find a buyer. Add 1 month for the buyer to get his bank loan and 2 good weeks to fix the appointment with the notary. So you see… to avoid missing the advantage, there is no time to lose. Besides, do not forget to use your allowance (eg 50.000 EUR per spouse every 10 years), but also the costs of obtaining (eg the commission of agency) and the work having helped to increase the value of the property (eg new kitchen, renovation of the roof...) that can be added to the acquisition value and thus reduce the added value. Do not hesitate to contact us for further insight and to help you sell your building this year and save significant amounts. "Another agent gives me X euros for my property !" When serious estate agencies meet owners with a property to sell, they’re used to hearing this phrase. Unfortunately, in order to get you to sign up with them, many estate agents have no argument to make other than "promising" an exaggerated sale price. You should be aware that when an agent signs a contract they can never promise a specific sale price. Even the price the agent decides to write into the agency contract is worthless! Because when it comes down to it, it’s the purchaser – i.e. the market – that is going to dictate the final sale price, and not the agent. Unfortunately, very often the owner – gullible and acting in good faith – interprets these false promises as being a definite guarantee that the property will get sold for the price the agent has "promised". It simply doesn’t work like this! Often it’s those very agents who promise the highest prices who are also, sadly, the least competent. This is because determining the real "market price" firstly requires expertise and extensive experience, and secondly some pluck... to get the owner to accept the correct market price. So you ought to be somewhat sceptical of an agent who "promises" you the highest price. Don’t let yourself be blinded by unsubstantiated promises, but instead trust your instinct as to whether the agent you’re dealing with is reliable and has sound expertise. Demand to have your property correctly valued! First of all, what is a “correct valuation”? There’s only one answer: it’s the valuation which is closest to the "market value", i.e. the price which buyers are willing to pay for your property (and which the banks are willing to fund). It’s definitely not the highest price that an agent "promises" you (sic). To be sure, such a price can make you dream – but what’s the point of dreaming if your property won’t get sold? Why is a correct valuation so important? As was explained in another article on our blog, it takes on average 15 months to sell a house and 17 months a flat. This is a really long time. However, based on these figures from the Observatoire de l'Habitat this is indeed how it is. One of the main reasons why it takes this (enormous) length of time is that very often the asking price is too high. However, you won’t hoodwink anyone: buyers are no fools... and the banks even less so. So your property won’t sell for more than the market price. 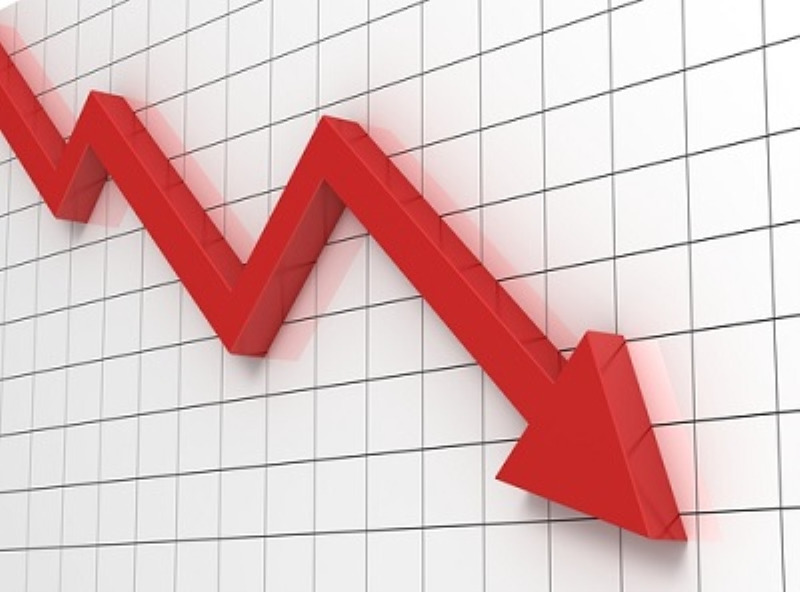 This means that your house or flat will only sell after you’ve dropped the price (repeatedly). To save all this time (and your nerves), it’s worthwhile aiming to determine the correct market price from the outset. And you’ll only do this with a correct valuation. 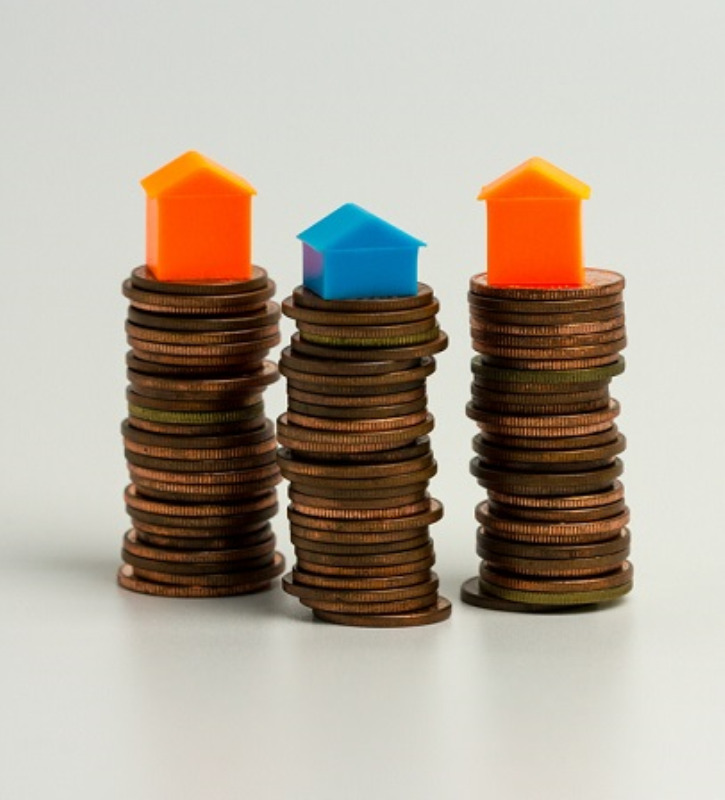 How do you know when you’ve got a correct valuation? expertise, because there are various specific methodologies which can be used to estimate the price fairly accurately. Such methods include calculations based on surface area, volumetric analysis, rental return, price comparisons, etc. And real understanding of these methods, and all their particular ins and outs, is required. reliability, because ultimately correct valuations are not made hastily by one person and by using a single method only, but by involving at least two colleagues who’ll value your property individually and use at least two different methodologies. If you bear all this in mind, you’ll very soon realise how serious your agent’s valuation is. If they "reel out" a price verbally or even in writing, but without explaining the methods used, warning lights should start to flash. On the other hand, if your agent is able to explain to you in detail the methods used and gives you a carefully worked out document outlining all their conclusions, you’ll know you’re dealing with a professional. If you’re in any doubt, don’t be afraid to challenge your agent on any point, and usually you’ll see straightaway if they really mean what they say. "Let’s give it a go... we can always drop the price later"
We’ve already looked at this in other articles: it’s tempting to put your property on at a high price. However, to explain the risks, let’s take a scenario that crops up on a regular basis. Owner: I’ve compared other properties on the Internet and mine is worth EUR 800,000. Unscrupulous agency, which knows for a fact that the actual market price is more like EUR 700,000: That seems a bit high to me, however, it should be alright, okay no problem... I’ll draw up a contract for you at EUR 800,000. Outcome: after more than a year the property will be sold for EUR 700,000. Professional agency: Based on our analysis using this method and that method, we estimate the market value to be EUR 700,000. We can put it on at EUR 735,000 EUR, but EUR 800,000 is unrealistic. Owner: Let’s give it a try all the same at EUR 800,000; we can always lower the price afterwards. This is a common reaction, but it’s also a typical pitfall. So what are the real drawbacks of "giving it a go", i.e. asking a high price only to lower it afterwards? First of all, you need to realise that buyers are not idiots. A buyer will usually spend months, if not years, looking round properties before buying. So your buyer knows exactly what the prices are... and your buyer also knows exactly which properties get reduced on a regular basis. And behind your buyer is their bank, which is also completely up to speed with current prices and will not fund a purchase which is overpriced compared to its market value. Unless you have a uniquely exceptional property, there’s very little chance of selling it above the market price. Secondly, practically 80% of views of property adverts happen during the first week of publication. If the advertised price is too high during this week and then you lower it subsequently, buyers who might have been interested will no longer be looking at your advert. This means you’ll have missed the best time to reach potential buyers. You shouldn’t bank either on attracting buyers and then negotiating a price reduction when they visit. Since they’re far more on top of sale prices than you are, they won’t even bother to come and view your property if it’s too expensive. So you won’t even get the opportunity to offer them a reduction at a viewing. So after a few weeks (or months), you’ll come to realise that the advertised price is too expensive and the fateful moment will arrive when you’ll "drop the price later". However, by now the damage is done. Since from this point on, the buyer is going to wait for the next price drop, and the next... Until the price comes down to the actual market price. However, by the time this happens you’ll have wasted a lot of time and frazzled your nerves. Please note that we’re not saying that you have to put your property on at a reduced price. Quite the opposite. You should put it on at the right price, i.e. at the price the market is willing to pay (or very slightly above)... and to do that you need a professional valuation determined by using several methods and ideally several agencies. 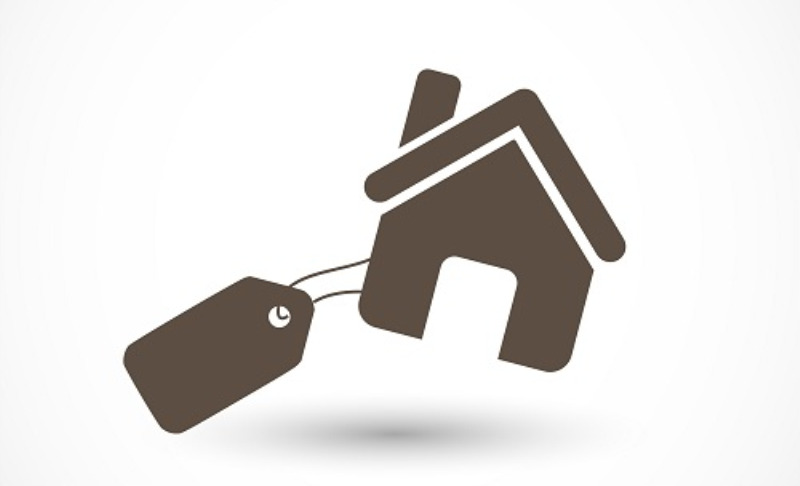 Can you trust sale prices advertised on property portals? When owners want to sell their house or flat, one of the first things they do is search on property portals to compare prices. This seems a logical, understandable way of going about things; however, you need to be aware that as a rule the prices shown are not the prices at which the properties are sold. According to various independent estimates, properties are in fact sold at prices often 10 to 20% below the advertised price! So if you work out the value of your property by comparing it with similar ones on the Internet this may give you ideas for a price that’s actually quite unrealistic. If all you’re going to go by when deciding your selling price is this price comparison, you’re likely to waste a lot of time trying to sell your property. And at the end of the day, in order to sell it, you’ll still have to drop your price to the market price. Analysis of recent statistics from the Observatoire de l'Habitat shows that on average it takes 15 months to sell a house and up to 17 months for a flat. This is mostly because the initial asking prices are too high – since properties which are correctly priced will normally sell within five to six months. What’s to be gained by using an estate agency? The question you really should be asking yourself is "What’s to be gained by using a good estate agency"? Because there’s no point at all in using a second-rate, dishonest intermediary who doesn’t have the right expertise. Even if they lower their commission, you’re still going to lose out. So let’s suppose that you have found a committed, honest and competent agent with the right networks and budget to do the job properly. Firstly, your agent will give you objective advice to decide the correct sale price. This is absolutely essential, so that you don’t waste precious months (with a price that’s too high) or money (with a price that’s too low). Drawing on their experience and solid research, they can also identify possible opportunities to significantly increase the value of your property. For example, if you get planning permission to extend your house, officially convert the loft or simply turn your house into flats, this can have a huge impact on the price. Your agent can also give advice about ways of making your property more attractive and therefore increase its value, e.g. by doing some redecoration or a little renovation. By making an investment of EUR 5,000, it’s quite common to then be able to raise the sale price by EUR 20,000. Your agent will have a good database of potential buyers. It’s often said that the best properties never even get advertised on Internet portals, and this is quite true. Your agent will present your property professionally (i.e. with attractive descriptions and photos) on property portals, where your agent has taken out expensive subscriptions to ensure that your house or flat will stand out from the hundreds of other properties being advertised. Your agent will take care of the visits for you. You might not think it, but this will actually save you lots of stress, hassle and time. Your agent will negotiate with the buyers, and if they’re good they’ll be in control of the negotiations, and most importantly will have all the right arguments ready (and not a sales pitch) to uphold the "market price" that you and the agent have worked out together. And last but not least, your agent will support you throughout the whole sales process, clearly explaining the various stages in the sale, and giving you fiscal and legal advice etc. So you can see that using a proper agent you can trust will help to save you lots of time – and most importantly money too. The key is finding your agent. Should I sell to a property trader? Let’s start by explaining first of all the difference between estate agents and property traders. Estate agents are sales intermediaries who act on behalf of the vendor and find a third party buyer. For their work, agents receive an agency commission, which is usually 3%. On the other hand, property traders buy the property for themselves and then sell it subsequently, having often carried out at least some renovation beforehand. Quite often an estate agency may combine both roles. If this is the case, so that there’s no conflict of interest, it’s essential that the agency plays fair by being absolutely clear about its intentions and role. But let’s go back to our main question: is selling to a property trader to be recommended? You need to be aware that it’s the property trader’s job to buy properties below the market price! This is quite logical – since being good professionals they know very well that they’re not going to be able to sell the property above the market price. So if they want to make any profit out of the transaction, they’ll need to buy it below this price. So you know from the outset that you’re going to sell your property for less than the market price. You’re going to sell a lot quicker. So it can be worth your while if you need the money quickly. You can be pretty certain that the property trader has the funds available. So you won’t be running the risk of dealing with a private buyer who may be refused a mortgage forcing you then to start all over again from scratch. You don’t pay any fees to the agency. You will of course get less for your property, but you’ll also save the 3% agency commission. In the end, you’ll need to look at your own personal situation and weigh up the pros and cons.